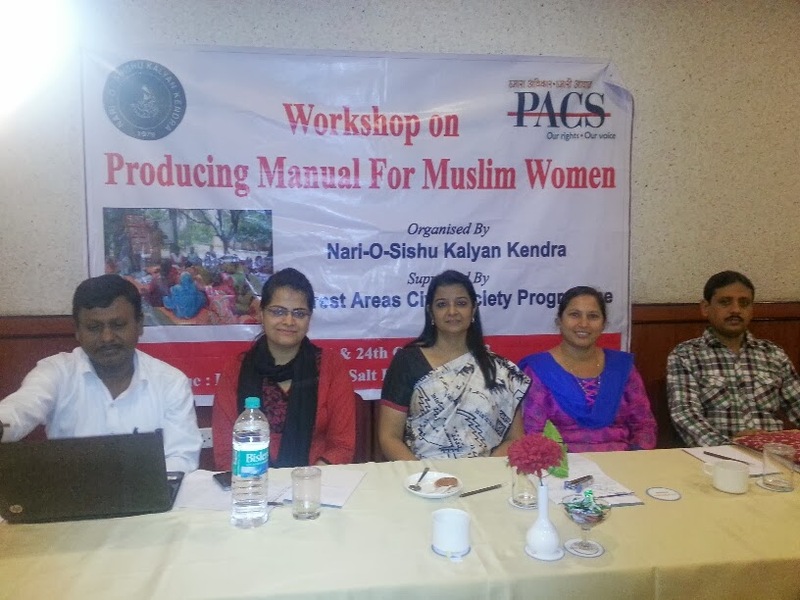 Bharatiya Muslim Mahila Andolan participated in a 2 day workshop organised by Nari-o-Shishu Kalyan Kendra to prepare a manual for empowerment of Muslim women. The manual to be finally written in Bengali, Urdu and English will talk about the Quranic verses which empower Muslim women on issues of education, health, livelihood and law. 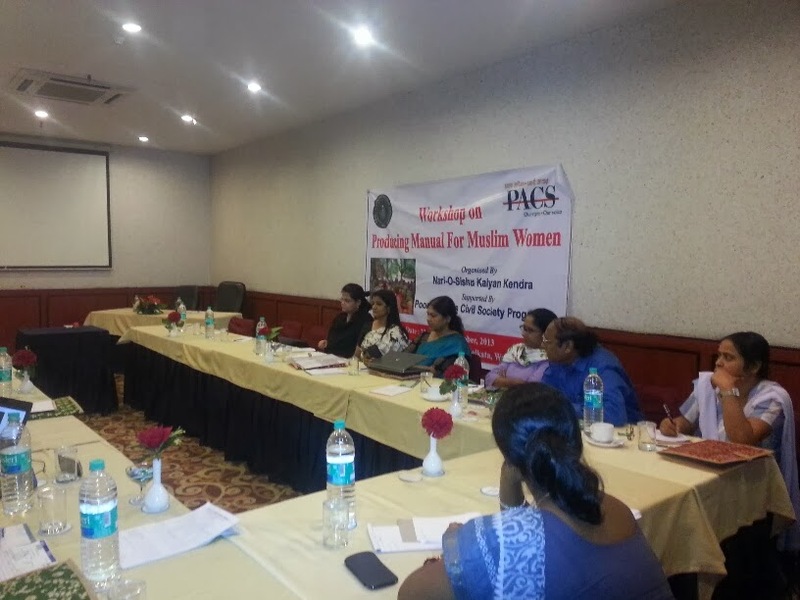 The meeting was attended by Dr. Ghani, Dr. Meeratunisa, Mr. Mechbahar Shaikh, Ms. Jaitee from PACS, Ms. Maria Salim from Sauhard Manch, Dr. Nasreen Jamaal from BMMA-Jharkhand, Dr. Siraj, Dr. Tanveer and Dr. Noorjehan Safia Niaz, Co-Founder of BMMA. 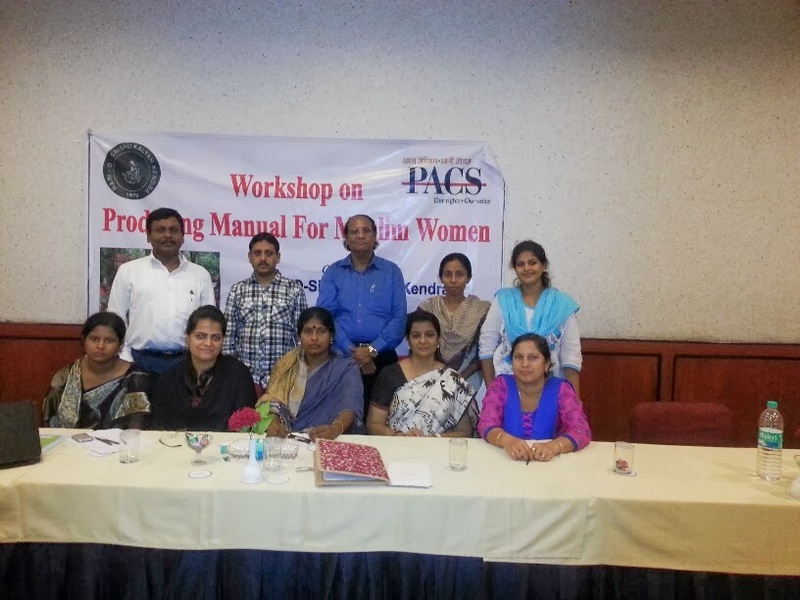 The workshop was conducted by Ms. Rahima Khatoon, Secretary of the Kendra and West Bengal State Convener of BMMA. Muslim women want to improve their living conditions but they are stopped by conservative forces within the community who misuse religion. Religion is misrepresented and women become easy targets simply because they don’t know their rights. This manual will be a tool in the hands of Muslim women who will be able to counter the conservative forces with their knowledge of what the Quran gives them as their rights.